Led by Jamie Kidd, JK Hair Loss Clinic Dublin is one of Ireland and Europe’s leading hair loss replacement specialists, Winning Hair Loss Clinic of the year 2018. JK Hair Replacement offers a large range of hair loss solutions, hair loss replacement systems, hair restoration, hair loss prevention, hair care, laser hair loss re-growth therapy, hair loss treatment and skin rejuvenation treatments for men. 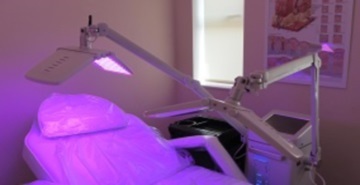 Our Hair Restoration clinic consists of four levels with consultation rooms, treatment rooms, laser rooms, a ladies wig boutique showroom and much more. All our rooms are completely private, modern and comfortable with FREE Wifi so our clients can relax as they get their individually tailored treatment. Below is a summary of the core Hair Restoration services we provide in addition to a full hairdressing and salon service. 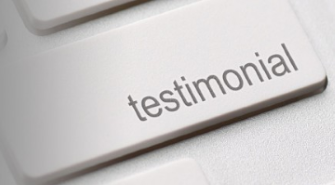 Check out our some of our clients Testimonials and find out what everyone is talking about in Ireland! We have helped and advised thousands of people from every county including: Laois, Limerick, Sligo, Meath, Offaly, Monaghan, Kildare, Mayo, Dublin, Roscommon, Louth, Kilkenny, Donegal, Antrim, Armagh, Down, Cork, Tipperary, Longford, Kerry, Waterford, Carlow, Westmeath, Clare, Tyrone, Derry, Wicklow, Galway, Wexford, Leitrim, Cavan and Fermanagh – Ireland’s Award Winning Hair Loss Clinic Dublin Clinic 2018. The #1 Hair Loss Clinic Dublin Has To Offer! 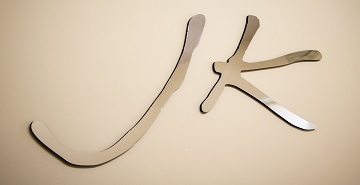 JK Hair Replacement systems are a High End custom made and designed non surgical solution to hair loss for men. Once fitted our clients will have the look they had previously or the look that they have always wanted. JK Laser Hair Therapy is suitable for both men can help you re-grow your hair using a scientifically proven and FDA approved laser spectrum combined with quality re-growth pharmaceuticals. 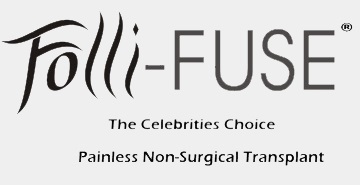 JK Folli-FUSE® is the Celebrities Choice for Hair Replacement. Pain free and easy with guaranteed results, it is like hair growing directly from your scalp, nothing compares to JK Folli-FUSE®. 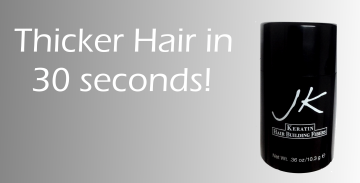 Thicken Hair in less than 30 seconds! 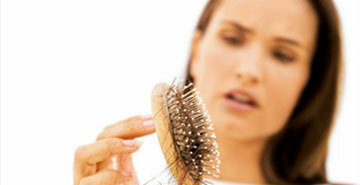 Hide hair loss and thinning hair with JK Keratin Hair Building Fibers. Created by Jamie Kidd following 4 years of intensive development. 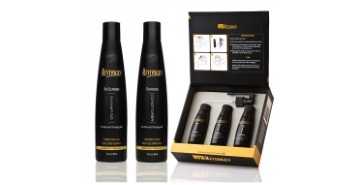 They are the best hair thickening product on the market for all hair loss conditions. See our demo video. Our JK Hair Thickening products are specially formulated to thicken hair and stop hair loss for men and women. These include shampoos, lotions, shaders, mists, cremes and supplements to give your hair wonderful volume, lustre and thickness. 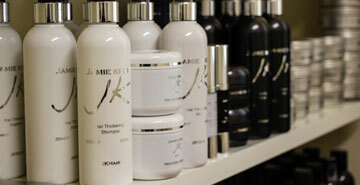 We have developed a full range of Hair Care Products for all your hair needs. Our own branded hair products are formulated for all Hair Systems, Wigs and Growing Hair and are available to purchase online. 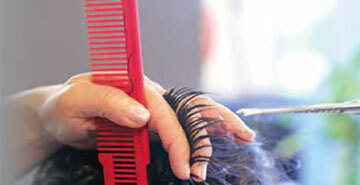 JK Hair provides a hair refusion /maintenance service for all our clients. 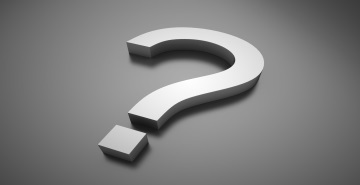 The frequency of refusion / maintenance sessions are solely depending on the needs and preferences of the client. Revivogen® stops the hair loss process by targeting DHT production and optimizing the hair production cycle using natural ingredients with scientifically proven effectiveness against hair loss. JK PPL® Therapy for men and women is one of the most effective and most non-invasive ways to aid in skin rejuvenation and repair for anti-aging and many skin conditions. It is suitable for all skin types. Click here to browse through our selection of pictures which show our clinic and what we do. We update the gallery with new pictures regularly. Exceeding client’s expectations is the foundation for everything we do and our clients reward us by letting us know how good they feel. Check out their reviews, testimonials and real life stories here. We are registered and authorised by the HSE as an official provider of hair replacement so you know you are in safe hands. 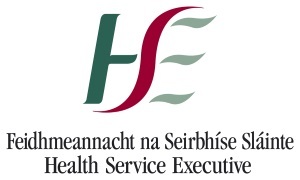 Find out your entitlements from the HSE and the Revenue here.